Ronken Industries, Inc. is a leading manufacturer of AC and DC capacitors located in North Central Illinois. Ronken Industries is a family owned business established in 1980. Their primary markets include airport lighting, tower lighting, defense contractors, UV curing, UV lighting & printing power supplies, transportation, and communications, HID lighting, ferro-resonant power supplies, filters, motor run, battery chargers, power factor correction, SCR commutation, snubber, frequency changers, motor speed controllers, static power supplies, harmonic filters, ultra violet light curing, pumps, compressors, energy discharge, sign & neon lighting ballast. 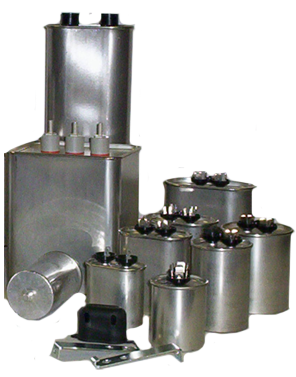 Capacitor packaging styles include industry standard oil-filled & dry metal cases in oval, round, rectangular configurations, and axial lead wrap & fill. Along with these standard styles Ronken can manufacture custom designs for unique applications. High volume production, as well as short runs as low as 5 pieces, can be accommodated. Ronken is an approved source for Versatex Industries Power factor correction capacitors.